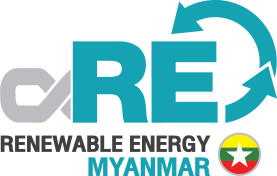 The Renewable Energy and Energy Efficiency Myanmar is a specialised platform attended by more than 3,000 power industry professionals, representing the only truly international event serving the Myanmar energy market. Discover innovative and practical solutions ensuring progression in efficiency and technological excellence for the Myanmar energy market. Interact with Myanmar and International exhibitors displaying and demonstrating the latest services and technologies for generation, grid and end consumer. Learn as unique global and Myanmar power and energy sector know-how is shared, addressing the key issues affecting the region’s power sector. Discuss such technical topics as distributed energy, sustainable development and plant performance modernization. Listen to a variety of hot topics such as the future of the Myanmar power and hydroelectric sectors, human capital development, energy efficiency, models for the heat energy market, and financing a distributed energy project.